Our client leading independent investment research and governance advisory firm is now recruiting for a Senior .NET Full Stack Software Engineer to join their team in the Mid-West. Candidates must have experience with all levels of the software development lifecycle (SDLC) for an enterprise level application. This is a permanent position. Excellent Salary and benefits package on offer. 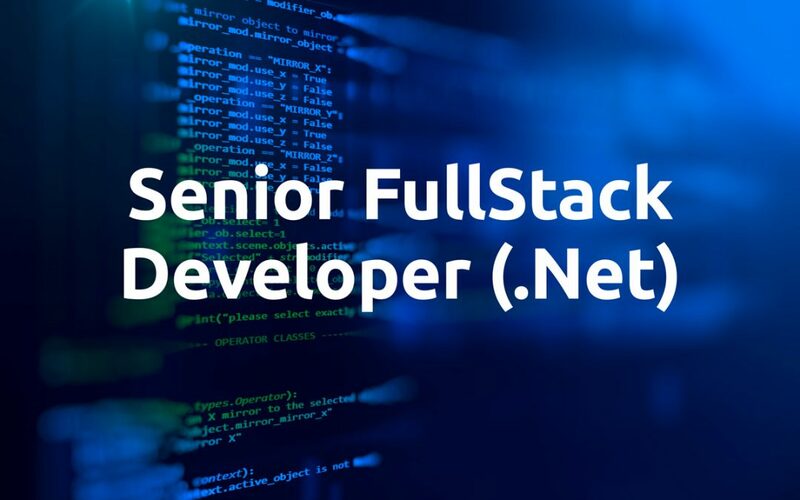 Our client a leading independent investment research and governance advisory firm is now recruiting for a Senior .NET Full Stack Software Engineer to join their team in the Mid-West. Candidates must have experience with all levels of the software development lifecycle (SDLC) for an enterprise level application. This is a permanent position. Excellent Salary and benefits package on offer. Designing, implementing and maintaining applications and services in a truly Agile (Scrum) environment. Actively participating in agile ceremonies (Grooming, Planning, Daily Stand-ups, Sprint Reviews and Retrospectives). Implementing coding practices consistent with defined conventions. Working with colleagues to develop and execute comprehensive test plans for system implementations. Performing and automating unit and comprehensive testing for assurance of functional and technical quality of deliverables. Providing valuable insights in design reviews and code reviews. Providing 2nd/3rd level support to business groups for all applications and services developed and maintained by the development group. Coordinating work with on-premise and remote developers. Assisting in the deployment of releases and patches into the production environment. Being available out-of-business hours for production support (level 2-3) on a rotational basis. Candidates must have 5+ years development experience throughout the entire life-cycle of an enterprise application. A strong desire to learn and improve. The ability to influence software engineering best practices within your team. Experience with .NET 4.5+, Visual Studio 2015/2017, C#. Experience with WebApi and middle-tier API services. Knowledge of Dependency Injection and writing testable code. T-SQL experience including the ability to analyse complex flows within Stored Procedures, SQL Server 2014 and upwards desirable. Experience with automated unit testing frameworks, test-driven development and Continuous Integration. Practical experience working with Angular 2+ and modern front-end frameworks. Clicking the “Apply Now” button means that you agree to the processing of your personal data for the purposes of current and future recruitment processes, carried out by QPTech in accordance with the provisions of the General Data Protection Regulation (GDPR) (EU) 2016/679.You also agree to share your personal data with other entities of QPTech and potential employers for purposes related to the recruitment process. QPTech may also contact you from time to time to inform you of events we are hosting that you may find interesting. Providing data is voluntary, you have the right to inspect, correct or request deletion of your data at any time. A request to delete data means withdrawal from any further engagement in QPTech’s recruitment processes and will result in the immediate deletion of your data. If you do not agree, please do not click the “Apply Now” button. Salary: Attractive salary and excellent benefits package on offer.